Or Tales from Topographical Streetscapes. This excellent little book is a real scales-from-the-eyes job: full of interesting stuff you didn’t know, but should. I say little, but to be clear, while its physical form is a 4″x5″ handy pocket-size, the book is 253 pages of rich, multi-layered yet economical text and a pleasure to read. Arranged in 10 chapters of about 25 pages apiece, the author tells us the story of pockets of London whose names, buildings, streets and populations have utterly transmogrified. Each has a different tale: Clare Market and its surrounding streets were swept away in the name of progress and replaced by the semi-circular, cosmopolitan, 20C Aldwych, a name meaningless to Londoners for a millennium; yet Cripplegate was obliterated by the Luftwaffe: the Barbican district took a full 40 years to rise from its ashes; Ratcliff and old Limehouse both withered on the vine with the decline London’s docklands and maritime industries; and so on. For completeness we also have Horsleydown, Norton Folgate, Old St Pancras, Agar Town, Streatham Spa, Wellclose and White City, the last of which has meaning to most of us, fading as it has within our living memories. Each story is fascinating and complicated; the author does a great job of assembling, arranging and delivering his material as an excellent narrative. You can tell by by his apposite use of quotations and the occasional casual yet pertinent commentary that he is familiar with not only the streetscapes of which he writes, but also other giants past and present. 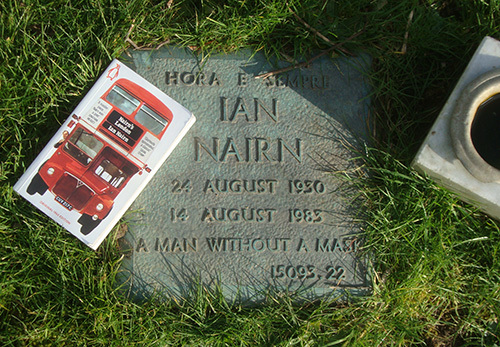 Ian Nairn and Iain Sinclair but a couple of favourites from our own times. But there is also plenty of Stype, Pepys, Thornbury and other wise old anoraks of the past. All are used in a pertinent yet unforced manner which adds to the reading pleasure. So it’s clear that Vanished City is not – like so many – scaffolded in dusty research: Tom Bolton knows his stuff too. The book is nicely illustrated by photos in both colour and black-and-white by the author and S.F. Said. There are unburdonsome footnotes at the end of each chapter and a good bibliography at the back of the book. But no index. This I can live with, but the one thing that the book lacks, I feel, is a wee map to go with each chapter. The text is necessarily very geographically specific, so I found myself having to refer to my London A to Z while reading. No other criticisms: thoroughly recommended. 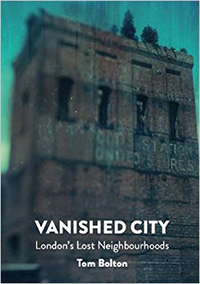 Vanished City (253pp) is published by Strange Attractor Press with a cover price of £11.99 but available for less. London Historians members will be interested to know that a signed copy of this book is the prize draw in your March newsletter, out Monday. 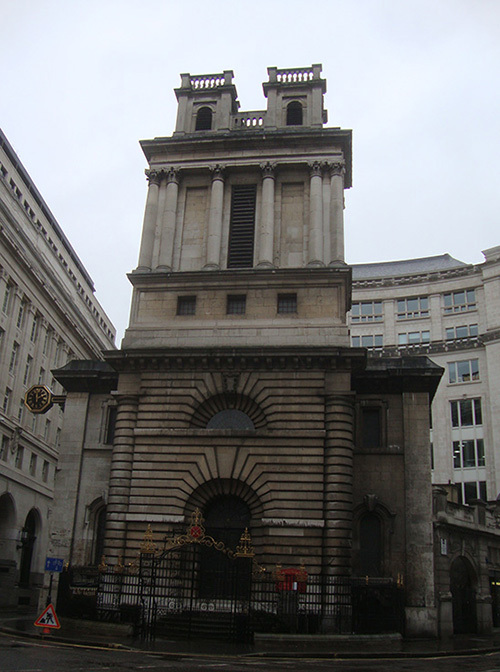 Most London Historians Members will have read Simon Fowler’s article in last month’s newsletter about Ian Nairn. The acerbic, witty, erudite and frequently waspish architecture critic’s celebrated book, Nairn’s London (1966), has very recently been reissued by Penguin. I first ever heard him mentioned just over a year ago when chatting to someone about City churches. This man mentioned Nairn in that way people sometimes do, assuming you simply must know the fellow. Rather than let it pass I plucked up some courage and enquired weakly: “Who is Ian Nairn?”. Having been enlightened, I promised myself to find out more… and then did nothing. Eventually came Simon’s article and finally I bought my copy about a month ago. I am now a Nairn disciple. It’s quite a small book and thus far from comprehensive; but it is eclectic and quite thorough in its own way. 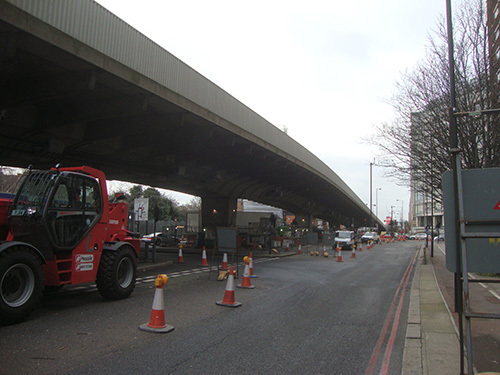 All parts of London are covered and all types of buildings or structures are addressed, even the Hammersmith flyover, which Nairn admired without irony: these highways in the air were still new and quite exciting at that time. The content is arranged by area. There is a very large section of black and white photos in the middle of the book. Nairn so admires Abbey Mills pumping station, he dubs it “God’s bowels”. Above all, though, Nairn enemies were modern: he detested the increasing ugliness of England’s post-war streetscapes and railed against them and their progenitors: town planners and architects. 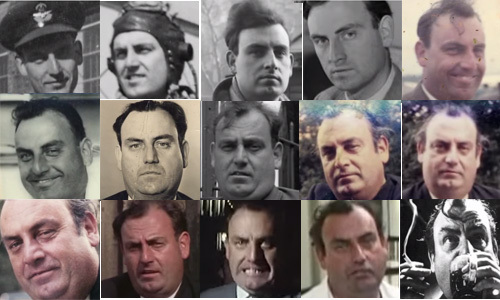 Ian Nairn’s first job was as a fighter pilot flying Gloucester Meteors. He resigned his commission and became a self-taught and self-styled architecture critic for the traditional Architectural Review. Immediately controversial and polemical, he soon made a name for himself and built a career as a journalist, critic and TV presenter, working with Pevsner and others. Towards the end of his life Nairn gambled and drank heavily. In 1983 he died from liver failure in the Cromwell Hospital, aged 52 . 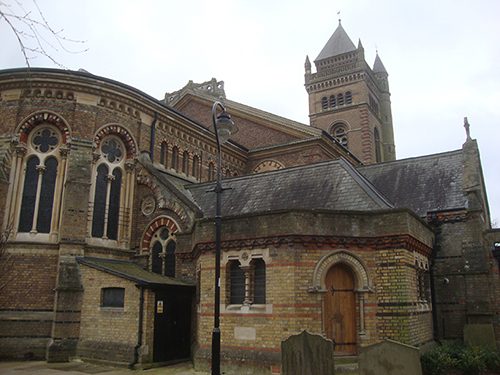 He was buried in the Westminster Cemetery in Hanwell. It’s not far from me, so the other day I paid him a visit. His grave is modest indeed. “A Man Without a Mask”. Do invest some time to watch this excellent documentary on Ian Nairn: The Man who Fought the Planners The Story of Ian Nairn. He had a great love for Northern industrial towns. 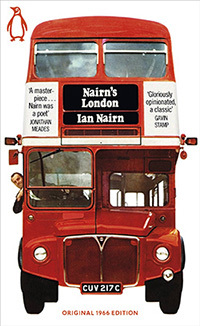 Nairn’s London (1966) is re-published by Penguin and available for a tenner or less.